I wouldn’t recommend traveling to Hong Kong solely for a surf trip, but if you are visiting the city, and are a surfer, you could easily score some surf. While I was pursuing my photo degree at the Savannah College of Art and Design, I had the opportunity to study abroad at SCAD’s own campus in Hong Kong, which was the experience of a lifetime. Hong Kong is one of the most densely populated areas in the world, with a population of about seven million people. The city is usually so dense with pollution smog that you forget what a blue sky looks like, let alone the fact that there is any sort of natural environment outside the concrete jungle. When you are standing in the center of the city, the last thing you would think is that there is surf. The journey to get there is fairly lengthy – from the center of Hong Kong, it’s one train and one bus that usually takes about an hour. Luckily, the Hong Kong transportation system is the cleanest, most efficient way of travel I have ever seen, and almost every sign is in English. As long as you follow them, you’ll get to your destination. There are a few different places you can surf in Hong Kong, but the easiest places to get to are the beaches Shek-O and Tai Long Wan. Tai Long Wan translates to “Big Wave Bay,” which is misleading because big waves are rare in the small bay. The tiny surf village hosts a small community of surfers and a few surf shops. 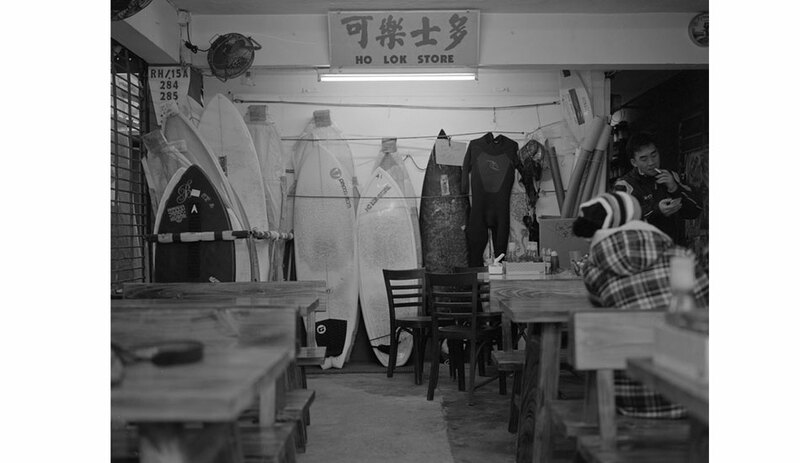 If you go there, make sure to check out Ho Lok, one of the surf shops. All of the best surfers hang there and they are super friendly. 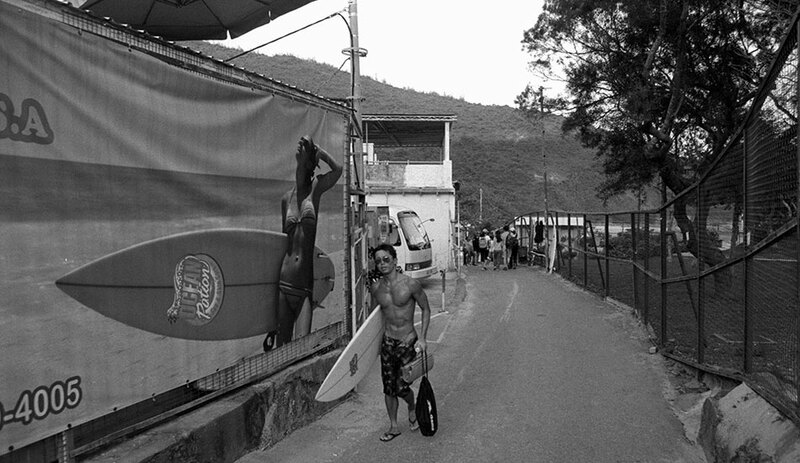 During my studies at SCAD Hong Kong, I pursued a documentary on Big Wave Bay. Those guys took me in like one of their own. They let me into their homes and allowed me to photograph them without having to explain myself, which I’m very grateful for. One of my favorite things about surfing in a foreign place is that you can do it without having to speak the language. Surfing was my vehicle to get over those barriers. 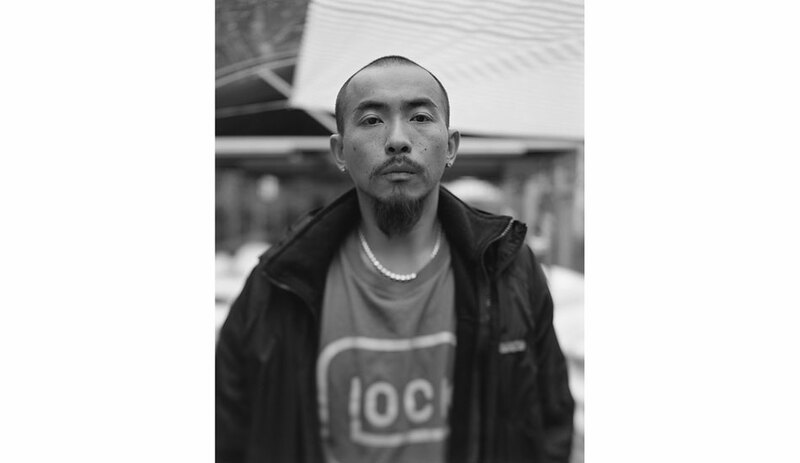 This project was photographed with a large format 4×5 field camera and a Nikonos-V 35 mm camera. See more from Stephen on Facebook, Instagram, or his website.